We have many contributors to the website. Anyone showing an interest in helping to shape the site is encouraged to join in. To avoid duplication of effort, people are asked to limit their work to specific pages or sections. The theme chosen for the site defaults to specific fonts, sizes and colors, and editors are encouraged not to diverge wildly from these standards. However, other than the home page, restrictions on style are limited, giving editors a large amount of freedom. The header and footer of each page is predetermned and not available for authors to change. Administrators are encouraged not to change them, either, without thorough review and approval by staff. See the Authors and Administrators section below for details about who these people are. Home page "real estate" is precious. Editors are encouraged to limit content, using a News style approach to writing. This encourages the reader to browse, quickly finding items that speak to their particular interests. Further details are offered using Read more... links. More information about style is available in our Guidelines for Authors, Editors and Administrators. Sunday morning is the "big Kahuna" for our church. More people typically attend Sunday morning events than any other events during the week. Thus, these events are displayed prominently on our home page. Klaus Obermeit updates this section every week. A section about our Lakewood Ranch congregation is also included. Welcoming guests and visitors is important and occupies the second section topping our home page. Roger edits this section. The Welcome Visitors item is repeated here because mobile devices display content beginning with the left column. Thus, on mobile devices, this section displays right after the Sunday morning events section. Social Justice items complete the left-hand column. Catherine Dente and Ann Urick edit this part. Miscellaneous news items occupy the middle column. They are generally arranged chronologically by date of announced event. These items are continued at the bottom of the right-hand column. Since the number and length of items varies from day to day, no heroic efforts are mounted to shuffle items in order to make the columns end at the same level. The right-hand column contains short sections which are maintained by Catherine Dente and Klaus Obermeit. The bottom contains items about Chalice Groups, Welcoming Congregation, Green Sanctuary and our Partner Church. These items are maintained by Catherine Dente and Klaus Obermeit. Children: Susan Cook-Hallock, our Director of Religious Education, maintains this whole section. She is the poster child for Weebly, having come with no prior website experience. She routinely updates the site with RE news and lots of pictures, giving readers a thorough idea of what to expect from our RE program. Social Justice: Sue Ladwig coordinates with Ann Urick in updating this section. Linda Classon was added as a Green Team editor on January 16, 2018. Adult Programs: Dave Nelson works with Nancy Saum in updating this section. By creating separate pages for each program, a user looking at any part of the website needs only to mouse over the Adult Programs menu to see an exhaustive list of programs available. This is an effective way to easily create the impression that this church has a lot to offer. Freethinkers: Steve and Carole Martin update this part of the Adult Programs section. Our website is not just one website - it is made up of multiple sites. Our main site is at UUCSarasota.com. It has a black navigation menu at the top. Most of our pages are on this site. The Weebly editor is used to edit it. Authors and Administrators are listed below. Our old website at UUSarasota.com This site has a green navigation menu, which has now been reduced to only one item: Home, which is a link to our new site's home page. This site is written in Drupal and hosted by Bluehost. Our email system using the format of name@uusarasota.org is also hosted on Bluehost. Our calendar is at mychurchevents.com. It lacks the page header and menu of the other two sites mentioned above. However it does have the church's name and address at the top of each calendar. Your browser's back button takes you back to our website. Office staff edit this site. Our Members' Corner is a Wordpress page on UUSarasota.org. It, too, is hosted on Bluehost. Dee Widder edits the Caring section and Catherine Dente edits the remainder of the Members' Corner. 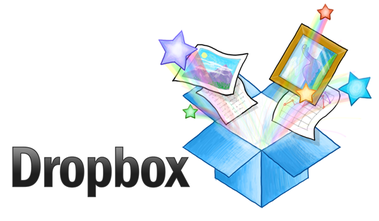 Dropbox is used to store archive files that are not stored at either the new or the old website. For example, Roger's December 10 reading about a poor old woman is a dropbox file. His sermon of that day is stored at UUSarasota.com. On the other hand, the Adult Programs catalog available at https://www.uucsarasota.com/adult-programs-overview.html is stored at UUCSarasota .com. Choosing the destination for storing files is left up to the individual author or administrator. The website is a staff function. It is not run by a committee. Volunteers do their work on behalf of the staff. Thus, ultimate control rests with the minister, Roger Fritts, and the Director of Finance and Operations, Roberta Druif. (Volunteer Is Needed) with extensive html coding experience to replace the services of the original webmasters, Don DeMaio and Catherine Dente. The person is sometimes needed to edit the old website on the Drupal platform. Also, to occasionally edit the email system. Klaus Obermeit, editor of the Upcoming Services page, Home page, and any other page needing help. He also recruits and trains new editors. 1. Navigation Menu: Each tab in the top Navigation Menu (the black bar at the top of each page, pointed out by the red arrow in the illustration above) is a page of the website. The pages are listed in the same sequence as the tabs in the Navigation Menu, with submenu tabs/pages listed underneath their main tab/page. Many pages are hidden from the Navigation Menu. Many of these hidden pages are placed underneath their respective tab/page of the Navigation Menu, depending on the subject of that page. For example, Draft is a hidden page underneath Upcoming Services. The page is used to store elements for future use. It is hidden, so only people with the url https://www.uucsarasota.com/draft.html can find it. The page is used by the editor to prepare material to be copied to the Upcoming Services pages when it is ready and complete. 2. Hidden pages sorted alphabetically: Additional pages which are not sorted by subject are placed at the end of the Navigation Menu in alphabetical order. Some of these pages are relics from the past - pages once created and no longer used, but kept because they are likely to be used again in the future. One example would be the Serendipity Auction. Another type of page would be a sandbox, a page that has been created as a practice page for a beginning editor. This type of page gives an editor a chance to practice without exposing their page to public view. Often, this page is named after the beginning editor. Once the page is ready for publishing, the page is renamed and placed in its proper position in the menu. Most hidden pages are not only hidden from the Navigation Menu. They are also hidden from search engines. 3. Guides and Archives: Several pages are editing guides and storage closets for editors and administrators of the site.